Does anyone use a junk rig on a canoe? I used to sail a bit when I was younger and I enjoyed the junk rigged boats because they didn't heal over so much. Is the same benefit found in canoes? 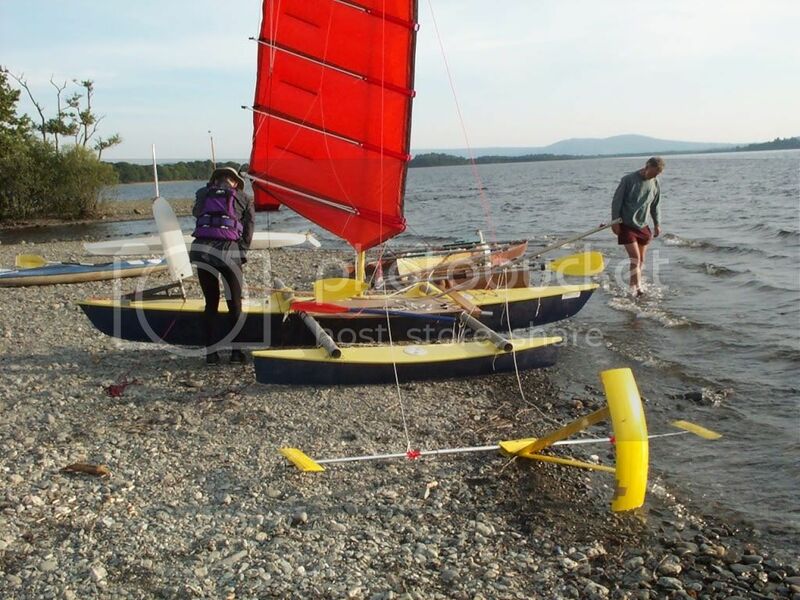 This rig has some really good things about it that should be good for sailing canoes. It is supposedly easy to use single handed on a yacht, easy to reef, simple free standing mast etc. But as always, things that seem a good idea at first, often come with a big down side. This rig has been tried a few times in the early OCSG and always seemed to be very complicated to set up and rig on the canoe. It had lots of string, that seemed to easily get in a tangled mess and the owners would spend all morning getting it ready to sail. On a yacht it is set up once and then probably works ok, but on a canoe where it needed setting up from scratch each time, it proved to be too complicated. It would be a nightmare if you capsized with it as the risk of entanglement with the multi part sheets could be serious. I think it would be trying to solve a non problem in a canoe. The simple roller reefing of the bermudan wins everytime. Thanks for the info. It does seem a bit over complicated on a craft as small as a canoe. Ah well back to the drawing board! Efficiency is everything in a sailing canoe rig. This rig is not a good rig because it would take several hours to rig the canoe when he arrived to go sailing. I call that very inefficient. It also didnt sail that well either. 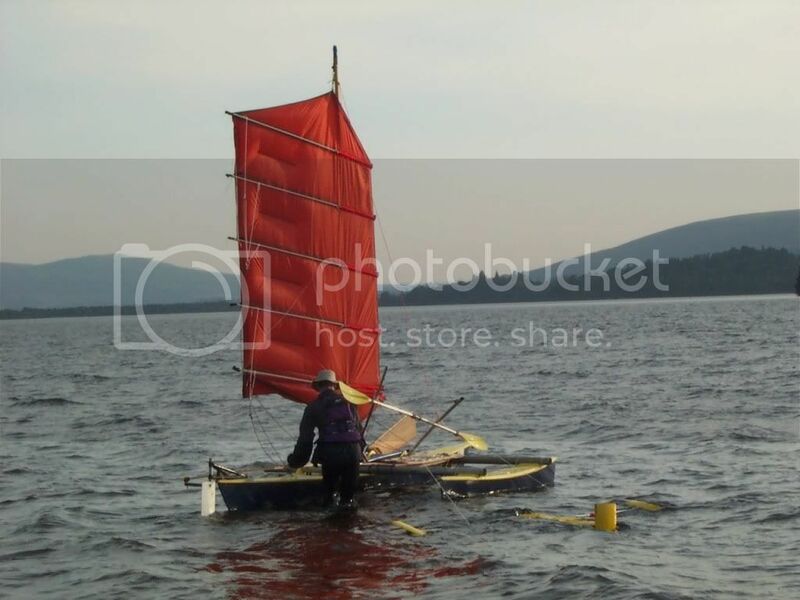 The junk rig has a long and illustrious history on dedicated sailing craft - see Hasler's "Jester" or "The Voyage of the Liberdade" - But it does look like a festival of string - so that the setup and tear down times become unacceptable in a mixed paddle/sail craft. Lots of people have tried it - google is your friend.